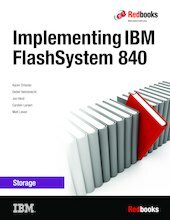 The IBM® FlashSystem™ V840 delivers high performance, efficiency, and reliability for shared enterprise storage environments, while simplifying data management, improving data security, and preserving your investments in storage with advanced software-defined storage. 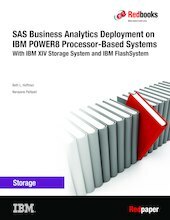 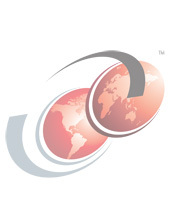 November 12, 2015 - Updated to include IBM FlashSystem V840 version 7.6 functionality. 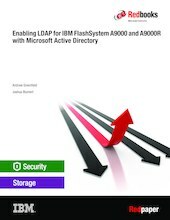 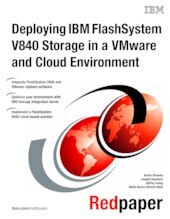 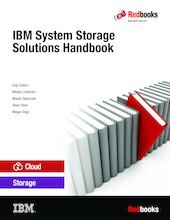 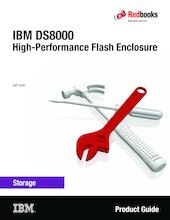 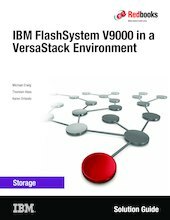 This IBM® Redpaper™ publication describes how to implement a cloud-based solution with IBM FlashSystem™ V840 in a VMware and IBM Storage Integration Server environment. 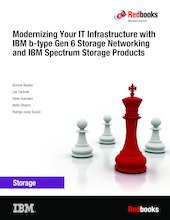 It walks the reader through planning, setup, configuration, and operations. 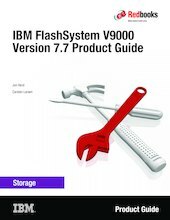 It also provides tips for implementing FlashSystem V840 in a WMware environment by using IBM Storage Integration Server and WMware tools for optimizing and provisioning V840 storage. 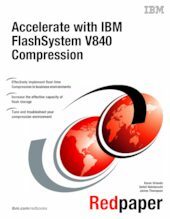 - "Overview and introductory concepts" discusses introductory concepts of IBM Real-time Compression, FlashSystem V840, and business benefits gained from implementing compression.